Miscreants attacked on railway staff, when they were checking railway tracks early in the morning and snatched their Mobile phones. 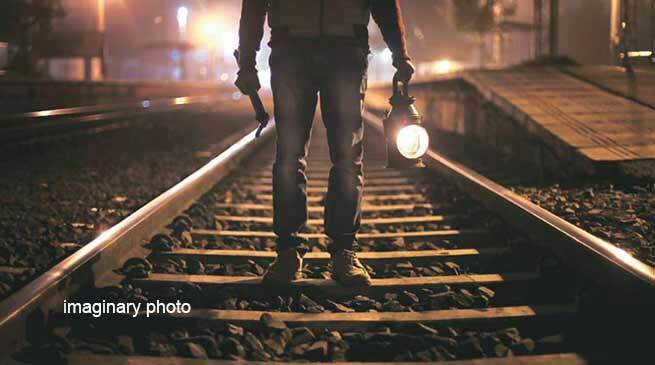 Unidentified miscreants attack the Railway technical staffs on duty when they were checking the rail track in Doimukh Circle today in wee hours. Two staffs were injured in the attack who were manhandled. Accordingly a case vide Doimokh Police Station case No. 30/18 u/s 394 IPC have been registered. Doimukh OC Padi Payang when contacted said that the railway staff were in their routine work , when they have been manhandled , and physically assaulted. Both staff injured in the incidence. When asked as why there was no security provided to them, Payang said even with lack of sufficient strength we carry our regular patrolling in the township, important installation in his jurisdiction and manage the law and order of the area including other activities. We are investigating the case and strong action will be taken in this case too. Payang added.